A wonderfully hisotric hotel filled with antiques and artefacts from its past life as an house for visitng clergy and noblmen. 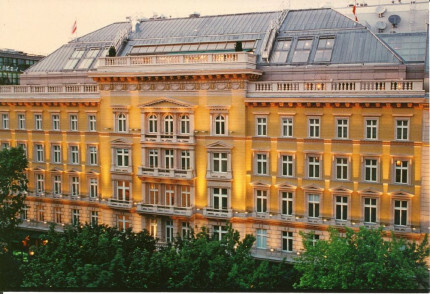 Enjoy traditional Austrian cuisine in the alcove-filled restaurant full of musical artefacts. Public parking is possible at a location nearby and costs EUR 20 per day. Visit the Kunsthistorisches Museum, which houses one of the most important art collections of the world. The State Opera is only a few minutes walk away and is a highlight not to be missed. Hotel bicycles are aviailable to rent, make use of your central location and explore the old city centre. 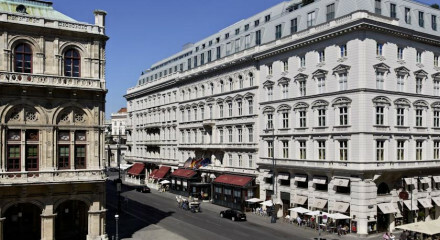 The hotel is a few minutes walk from Kärntner Straße, Vienna's most famed shopping street. Only 50 m away from the beautiful Saint Stephen's Cathedral. 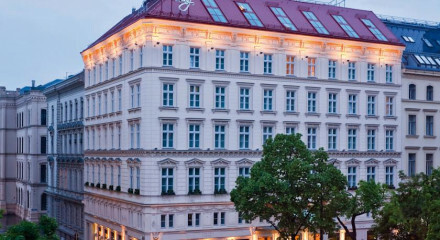 "The building dates back to 1349, so expect a medieval Viennese vibe: thick wooden doors, arched windows and corridors looking on to a welcoming glass-roofed inner courtyard." "The bar in the airy inner courtyard is a central gathering place for the local movers and shakers." "Sip coffee in the glass-covered courtyard atrium, steps away from where Mozart composed The Marriage of Figaro, or try a sekt at the bar."